Image caption Oyub Titiev says his case was "fabricated"
A court in Russia's Chechnya republic has sentenced a prominent rights activist to four years in jail for possessing illegal drugs. Oyub Titiev, who heads the regional branch of rights group Memorial, said the case was "politically motivated". Amnesty International said the court verdict was "an affront" to justice. In recent years, Memorial has investigated alleged abuse by Chechen authorities, including kidnappings, torture and the persecution of gay men. 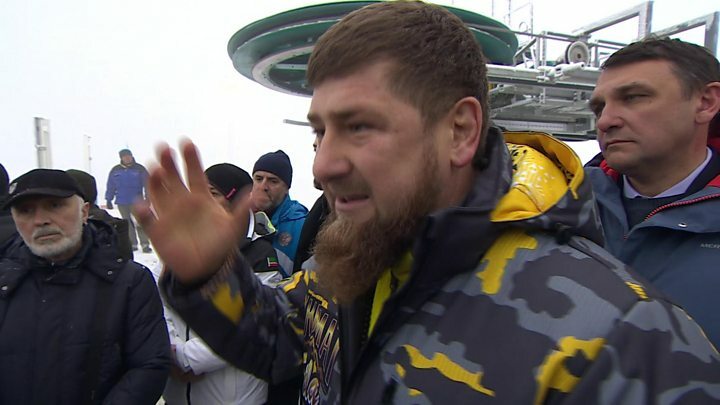 Chechen authorities have repeatedly denied the allegations. Memorial is the last rights group to have a presence in the North Caucasus republic run by authoritarian leader Ramzan Kadyrov. Oyub Titiev's predecessor at Memorial, Natalia Estemirova, was abducted and killed in 2009. The court in the town of Shali, north-east of the capital Grozny, sentenced Titiev, aged 61, after the judge took nearly nine hours to read out her verdict. The courtroom was packed with reporters and diplomats, as well as relatives and neighbours of the activist. 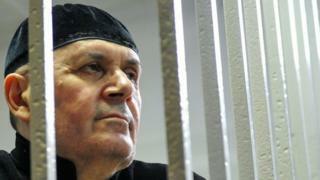 The judge said she had agreed with the demands of prosecutors, sentencing Titiev to four years in prison. The activist denied the charges, saying they were trumped up. Titiev was arrested in January 2018 after police stopped his car to check documents. The police said cannabis had been found in his car - he said the drugs had been planted. After the verdict, Titiev said the authorities "fabricated the criminal case". In a statement, Amnesty International said: "The four-year prison sentence slapped on Oyub Titiev is an affront to human rights, reason, and justice. "By pronouncing him guilty, despite all the evidence to the contrary, the court has demonstrated how deeply flawed the Russian justice system is. "The court has revealed itself to be little more than a tool that the regional authorities have used to silence one of the last human rights defenders working in Chechnya. The Council of Europe Commissioner for Human Rights, Dunja Mijatovic, said: "The conviction of Oyub Titiev is but the latest example of the hostile and dangerous environment in which human rights defenders operate in the Chechen Republic."